No reason to keep it a secret. 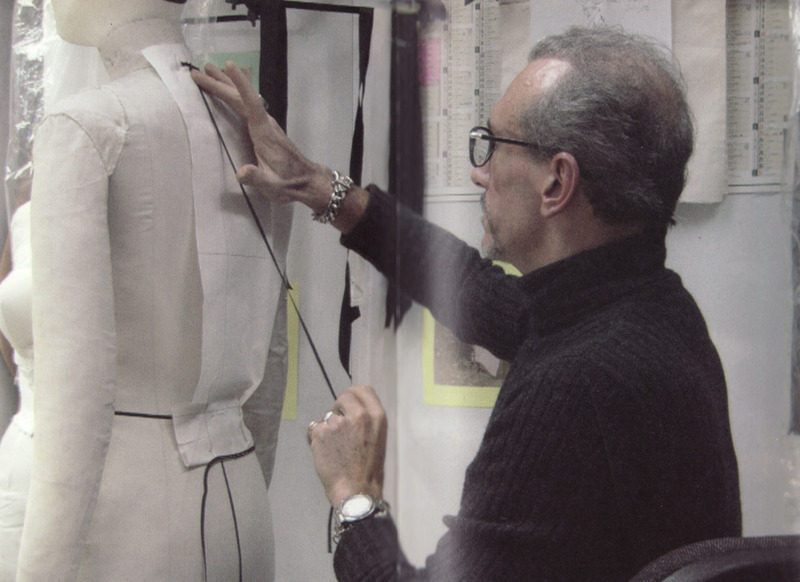 There is a specialists’ mercerie or notions store in the Sentier garment district in Paris. 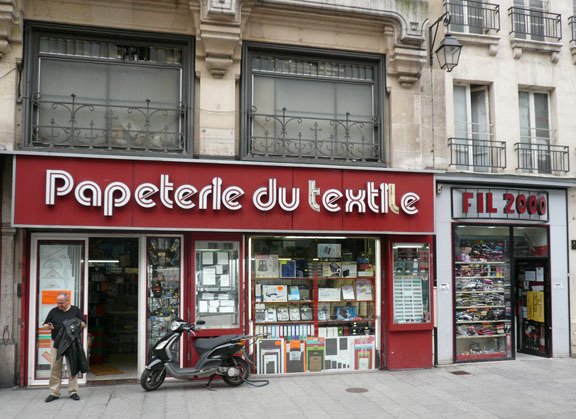 Yes, in France there is a separate place to shop for needles, thread, buttons, zippers, and other trims, as well as needlepoint canvas, embroidery threads, etc. Often there are other things like yarn and knitting supplies, or stockings and hatpins there too. NO fabric, that is to be found in another, separate boutique. Of course, just like independent fabric stores in the USA, these shops are on the endangered species list. But I digress. I was staying near the Sentier last month, so it wasn’t far to go to find a specific color of thread I needed for an emergency button repair. I must have walked by the mercerie around the corner from the Rue Montorgueil a dozen times before stepping in to see what I could find. 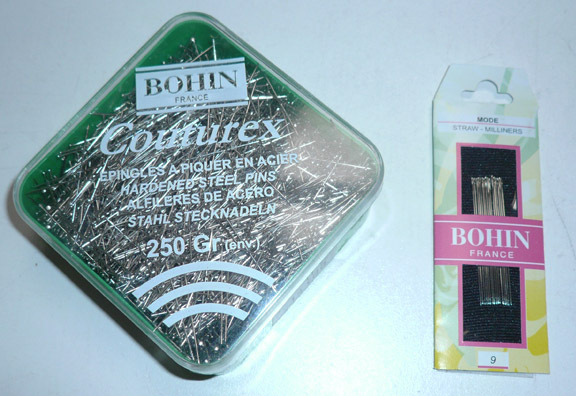 Since I was there, I decided to buy a half a pound of my favorite Bohin Couturex straight pins, and to ask plaintively if they carried DMC Lacet Super-fin, otherwise known as bolduc band from my days in haute couture school in Paris. 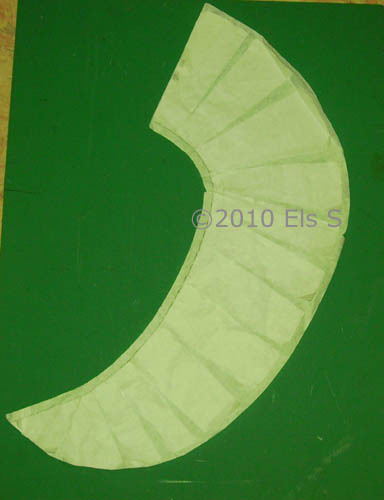 This is the flat, narrow cotton shoelace-weave tape used to mark the dressform. DMC stopped making it some time ago, and it has gotten scarce as hens’ teeth. The Chinese owners at this mercerie were stumped, they had no idea what I was talking about. Another patron in the shop came to my rescue, and suggested 2 other merceries deeper in the garment district, saying that I would surely find my bolduc band there. 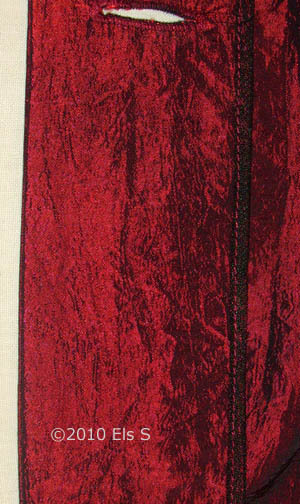 Bohin Couturex pins are my favorite for draping, as they are long and fine, in hardened steel. Bohin also packages my favorite Millener’s (Modiste) # 9 needles, long and fine for hand sewing muslins and other fine handwork. 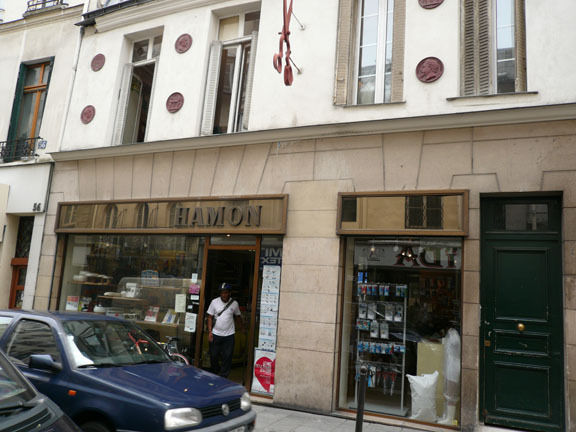 That I how I found myself on the Rue Reaumur in front of the Papeterie du Textile, with the small hole in the wall notions shop next door exactly as described. Well, they were doing a land-office business! No danger of this place closing anytime soon. 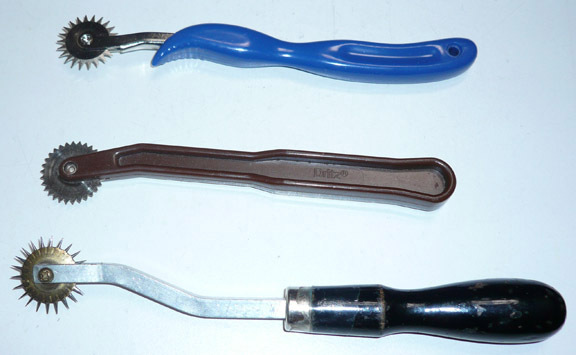 I found what I was looking for, and a few other things jumped in my bag as well: a new tracing wheel with different teeth from the 2 others I have, as well as a mechanical pencil for tailor’s chalk. The fellow at the cash register told me that they order their bolduc band special from a manufacturer down south, since it is no longer made commercially. My informant also told me about Hamon, a draper-patternmaker’s specialist mercerie on the Rue de Clery. 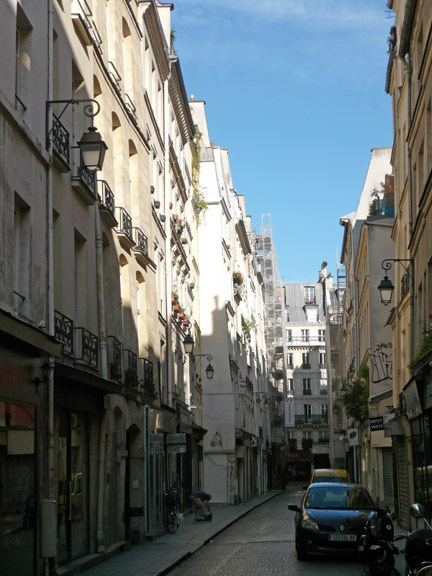 I made a foray up the hill of the Rue des Petits Carreaux past Rue Reaumur, to check it out. Located in an older building on a street of old buildings, the giant scissors above the front door told me I was at the right place. It was indeed a modeliste’s paradise, with scissors, paper, dressforms, irons, muslin, pins, bolduc, and books to teach all about draping and patternmaking (mostly in French, but some with English translation). Fortunately there is a website, so you may be able to acquire items difficult to find in your area. métro Sentier sortie rue de Petits Carreaux. I love strong color and I love to cook. My kitchen is full of primary colors: yellow, orange, red, green and blue. Yellow and orange are the main colors. The dining area is attached and there the colors are more muted into pastel shades but dark blue, bottle green and red glass makes it’s presence known against a proper unbleached Irish linen table cloth and white china. 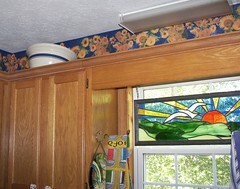 The yellow orange theme kitchen theme is based upon a wallpaper border I put up a while ago. 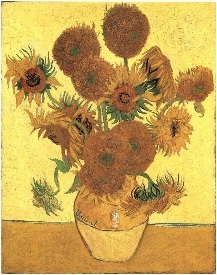 it’s a variation of Vincent Van Gogh’s Sunflowers with lovely colors and navy background. 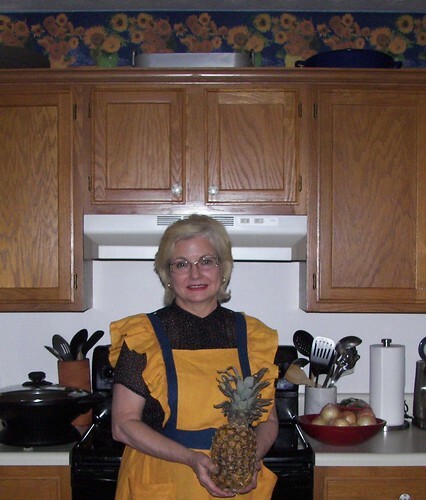 The kitchen is a place of activity and high energy and when I cook I am working as quickly as possible. I cook in batches so dinners can be frozen ahead of time. I make most things from scratch, depending on how much time I have. And, well, things do go flying! 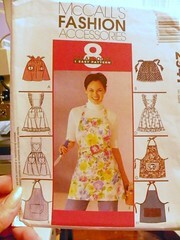 The other day, after splattering cherry juice down the front of me, I wished for an apron, one with a bib on top. I’ve never made one (that I can remember). 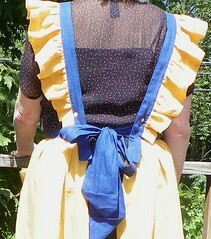 I have aprons but they are all inherited from Mothers and Grandmothers; you know, the full skirted half apron, that, on me, makes me look “like a potato sack with a string around it” as Ma used to say. 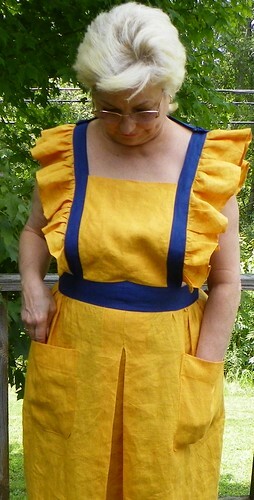 I had yellow/orange cross dyed linen in the stash and some navy so the challenge was to make a full apron with as much covering on top as well as the traditional full skirt in a way that would be more flattering to my short, full body than the outline of a lampshade on two legs. Oh horrors, that is such a bad look on me! So, what did I have on hand???? that would make sure I could tolerate wearing my new kitchen “tool”. It’s set across the back of the top of the shoulders so it’s easy to get over my head without having to button and unbutton. I’m moving quickly when I am cooking so I’ve got to be able to throw this on without hesitation. I think it will work well, now. 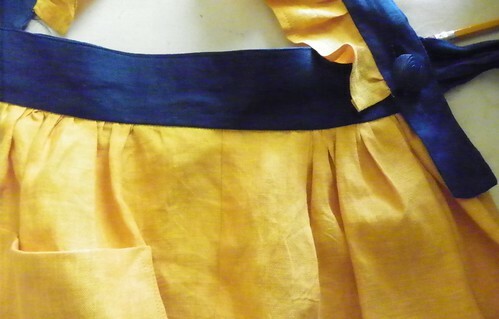 I made an inverted pleat across the belly of the apron, allowed gathers over the pockets, smoothed the fabric at the side seams and put maximum fullness at the back. Can you see the spacing? 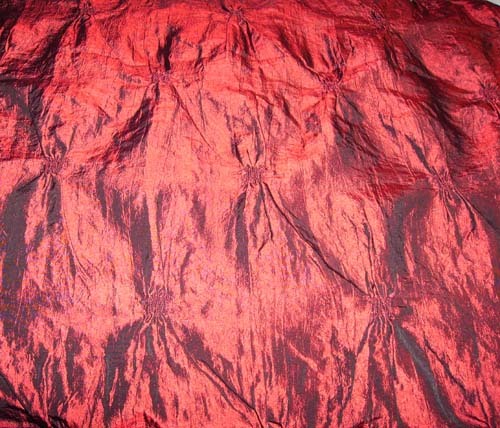 Here’s the front inverted pleat, top stitched down on each side of the fold. This apron will not be ironed so things must be anchored and stay put. 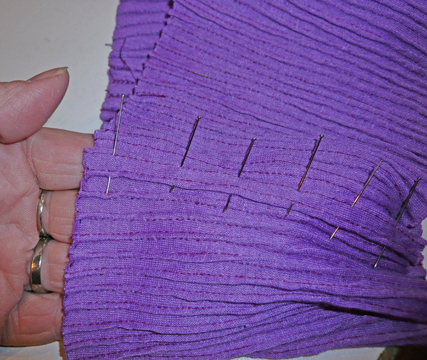 The most I’ll do is to try to smooth out those shoulder ruffles with a quick tug as the apron comes out of the dryer. Maybe. 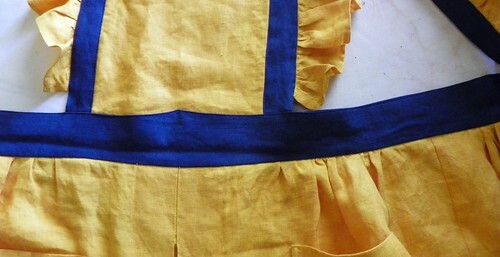 The peaked front of the waist band was a design detail that insisted on being part of the apron. Seriously, it demanded to be included to counteract all the straight lines of the color blocking. It made me work late. I drew the curves and stitched them on the waistband, then pulled out the stitches and ironed the shape into the interfaced fabric. 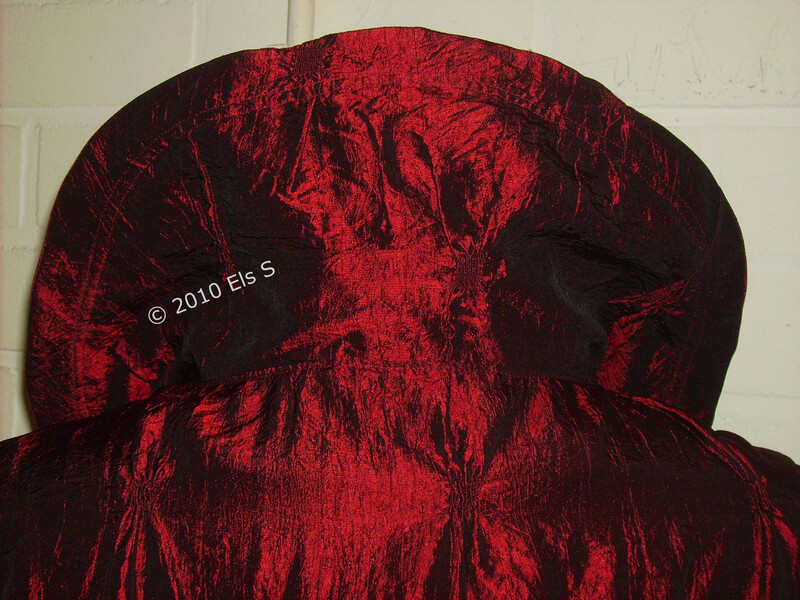 Then I could easily applique the shape onto the bib. I like it. I’m relieved: it cute but not “cute”, decorated but not “decorated”. Hope I remember to put it on before the disasters happen! TSD received an email from the publisher if we were interested in reviewing this book. The publisher Laurence King is in the UK and I am also from Europe so I responded that I was interested but would like to do an independent, honest unbiased review about the quality of the book since I would receive the book for free. This book is fairly new (press release was on April 2010) and in my possession for some time but due to all kinds of errands I had no time to do a post till now. I really like the book and find it a comprehensive book. I do not work in the fashion industry and use only sketches and never made a technical drawing. 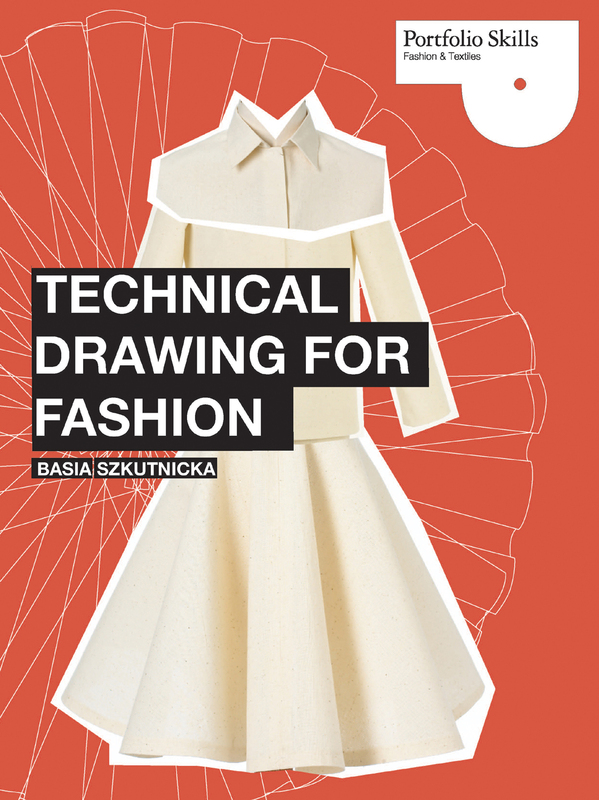 But this book is a great way to learn how to make technical drawings if you are a student or work in the fashion industry. You can see the difference between a sketch, fashion illustration and a technical drawing,which I scanned from the book. 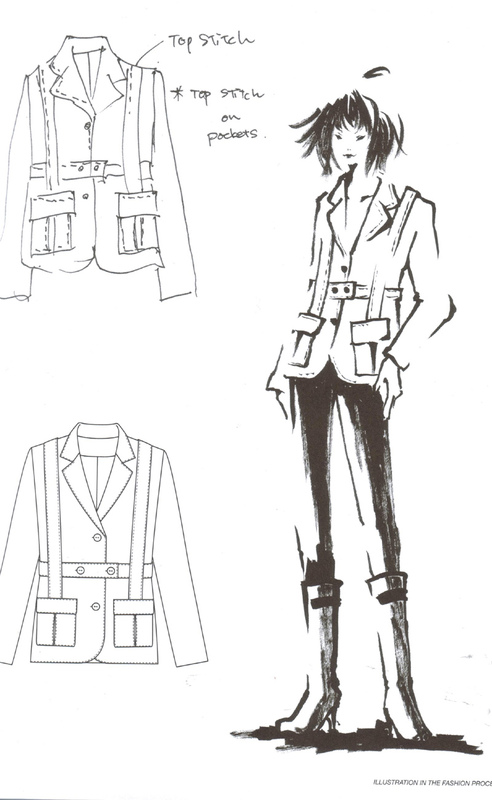 A sketch is a design idea, the fashion illustration a look how a specific garment looks like on a body. The technical drawing shows all the construction details that are involved in the production process. The book is not about fashionable clothes but gives you a comprehensive inside how to draw technical drawings for garments by hand or by using Adobe Illustrator. 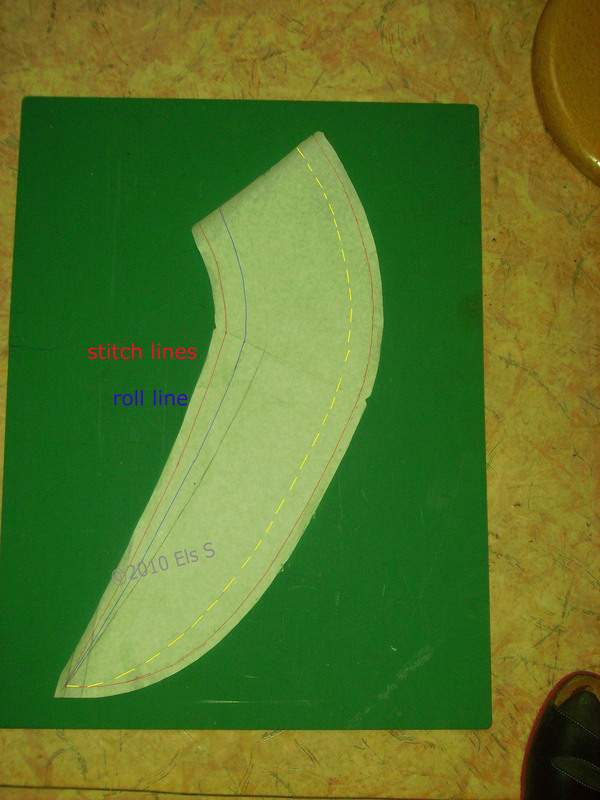 For example Skirt Key basic shapes which you can see in this book are: Pencil Skirt/Fitted Skirt/Sheath Skirt, straight Skirt, A-Line Skirt, Circular Full Circle Skirt, Gathered Skirt, Pleated Skirt. 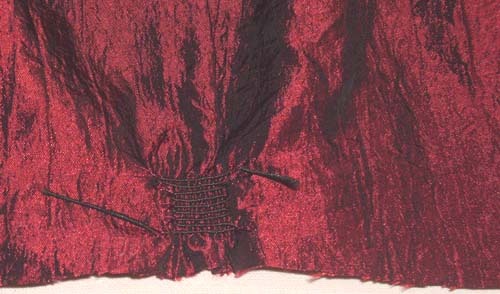 The technical drawings of these skirts front and back view together with a picture of the skirts on a dressmodel. 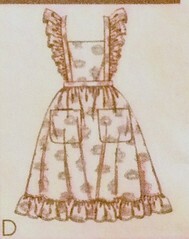 Plus technical drawings of skirt variations front and back views : Dirndl, Gored, Wrap/Wrapover, Sarong/Pareo, Tiered/Peasant, Handkerchief hem/Irregular hem, Asymetric, Puffball/Bubble/Baloon, Skating skirt, Kilt, Skort, Peg/Pegged Hobble skirt. 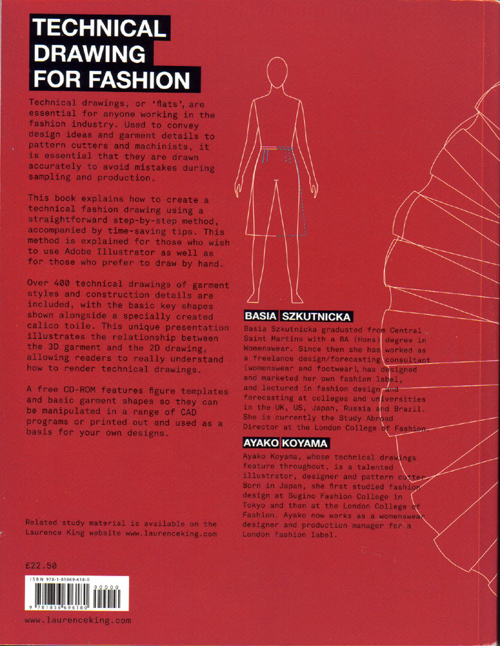 Since I have no other books with this subject to compare with, I cannot tell you if this book is a useful addition to your library but based on this book alone I would buy it if I needed the skills to learn how to draft technical drawings or working in the fashion industry. The CD-Rom contains all the templates. I totally agree with the above editorial review. Thanks to Els invaluable tutorial on making your own rib! Another costume character, another design problem, for the upcoming Seussical production. 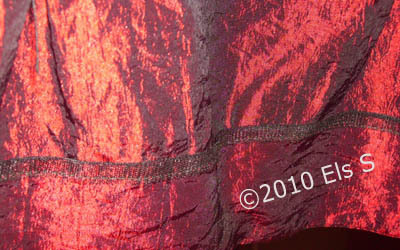 The director chose this purple faux fur with lurex. Horrors! 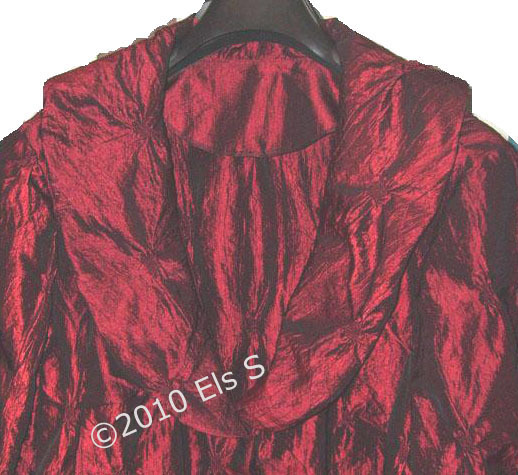 I looked everywhere for a chunky rib that would match to make this bolero style work. I finally found a very thin crinkled raggy piece of jersey that was the right color, but not even close to the texture I wanted. 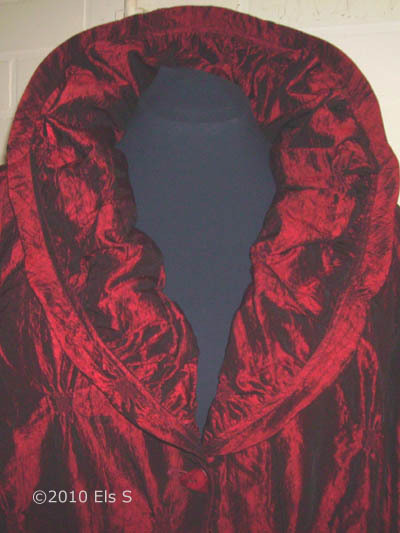 It’s sort of the opposite of Mary Beth’s bolero that has faux ribs in the fake fur for the cuffs. Calculating how many ribs in Els’ precise equation was not really possible, so I decided to keep tucking until I had a block big enough to cut my pattern pieces out. 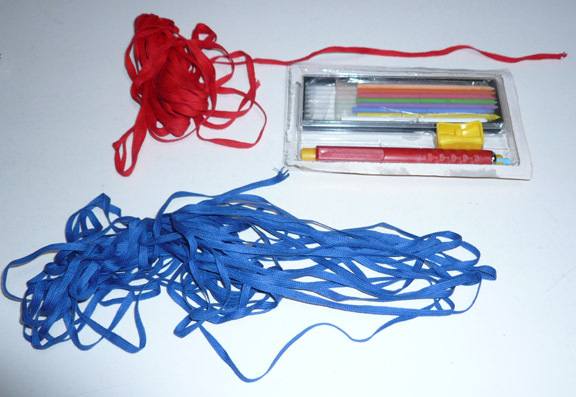 2 days later I was still making double needle pintucks. There was a lot of uneveness and twisting, the thread kept breaking, it was sort of a nightmare all by itself, before I even got up to my elbows in the flying faux fur. 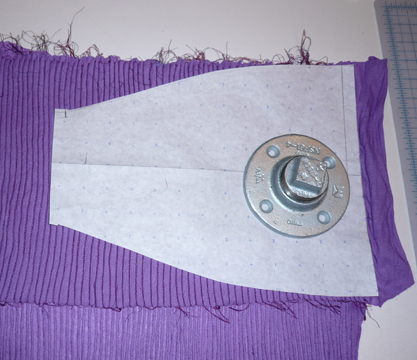 Since this was for a costume, I didn’t worry about the crazy, wonky nature of the pintucks. I kinda like the texture that it imparts to the rib. My only concern was that this was taking far too long to do, and I had to move things along a bit more quickly. 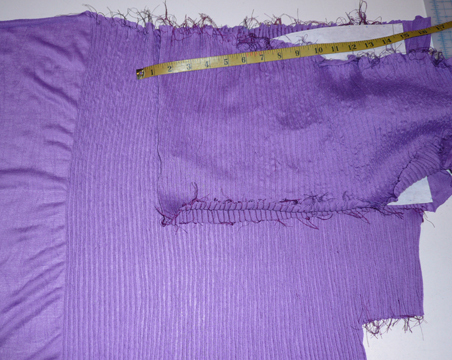 The solution was to piece together lengths to make up the needed parts – easy enough to do if you just lay one tuck on top and topstitch over it. It blended in with the tucks on the piece underneath. 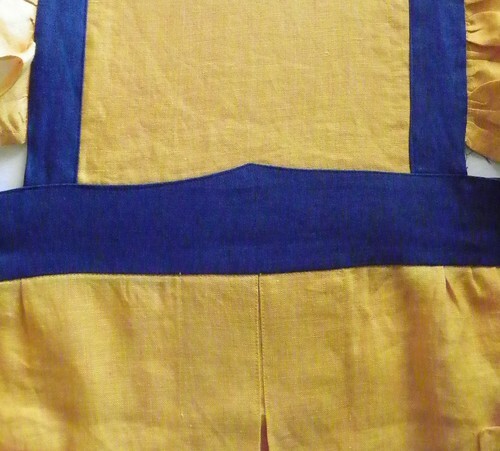 Thankfully I was able to cobble together enough lengths to make the trim for both the bolero collar and cuffs, as well as the top waistband of the skirt. 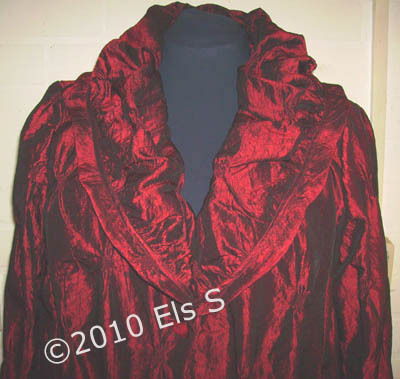 The folded over bands of faux rib look great. 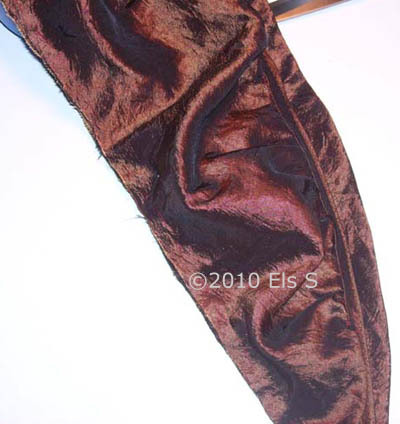 I followed some instructions I found for fake fur sewing to cut and join the seams, then stretched my rib bands to the body. 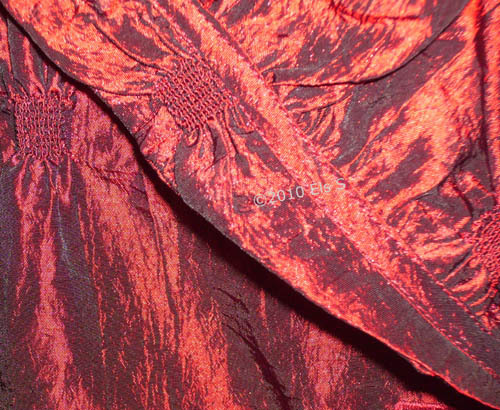 All of the seams are sewn with zigzag at the edge. Dress rehearsals start soon – can’t wait to see how all of this turns out!